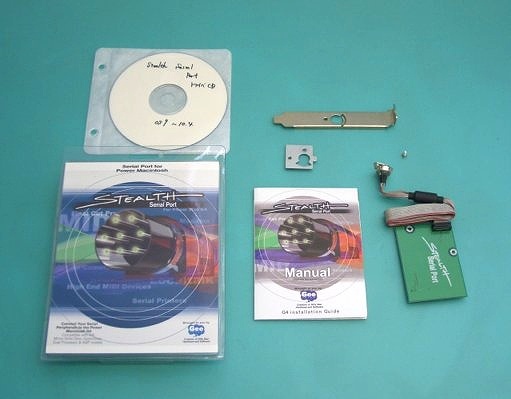 The Stealth Serial Port provides a fully compatible serial port for you new Mac. Unlike USB-to-serial adapters, the Stealth Serial Port works with Localtalk, MIDI, any serial printer and virtually any other Mac serial peripheral. We back this compatibility with a money-back guarantee. "connect your serial peripherals to the blue power macintosh g3"
How can I tell what revision iMac I have? 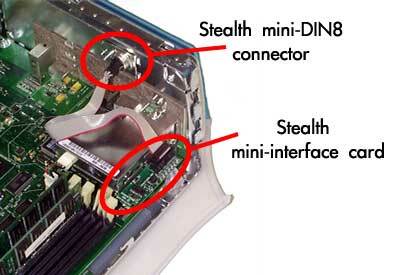 Does the Stealth Serial Port for the iMac also work on the new iMac DV? 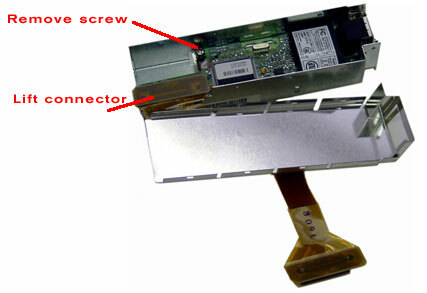 The Stealth Serial Port for the iMac works on revisions A-D of the iMac. This covers all models of the iMacs (including the flavors) with processor speeds from 233MHz -> to 333 MHz. The new iMac DV and iMac - 350MHz. are based on a new logic board. The modem slot on these machines is very difficult to access and the hole for the modem jack is not large enough to accommodate a serial port. Sorry. 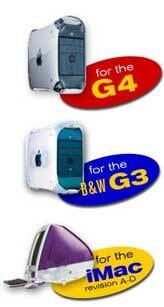 which g4 needs which serial port? previously i had wrote that this was only compatible with the "FX" type G5's from 2004..